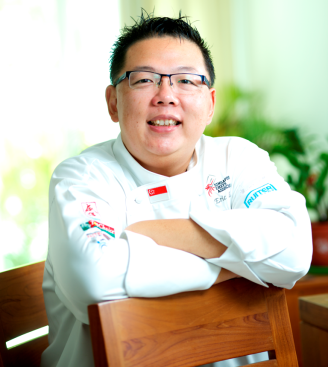 Award Winning Celebrity Chef and Cookbook Author, Chef Eric Low takes you through Year 2019 with not just great recipes but also kitchen management insights on how you can breeze through the daily and weekend cooking sessions with his well organized recipes and tips. Demo Classes include sampling portions and ingredients fees. Hands on classes include ingredients and recipes, demonstrations of each recipe before hands on. Participants are required to work in pairs for hands-on cooking workshops. Search the respective CC of your choice. Make registration from there with confirmation through payment via credit card. **Please always check and bring your printed receipt on the day of workshop in case of any discrepancies that may arise. Only valid receipts will be accepted by CCs. *** Please bring CASH $30-$60 (Some workshops maybe higher per session depending on recipes taught) for your ingredients fees on day of workshops that you are attending. Can I check whether the pizza class is using original dough or premix dough? Hi Amy, it dough made from scratch. Hi Eric, glad u r doing so well now n missed attending ur classes. Nearest cc is Bt Timah but the days dun suit me. l am interested to purchase ur cook book but how besides going to cc can l buy n hv ur signature as well. l am Mary here ur ex-student wonder if u still remember me? Hi Mary, u can purchase the cookbook at any Popular Bookshop. Just drop by at any of the confirmed workshop locations for a quick autograph..
Morn Eric, can u pls email me the email address for yr class on 11/1/14 on the pineapple tarts at Totts. Was it holio regent media.sg. Thk u. Hihi! !, YCK CC will update their website from march onwards. Your schedule stated us open to public. Can you kindly clarify ….? For course on Braised Beef Cheek, can you confirm on the date and time of the course at Buona Vista CC? Has this been up on Onepa website? Also, for Menu 1, the coffee pork rib, is it confirmed to be conducted at Buona Vista CC on 3 Feb as per Onepa website? Onepa website menu description is all messed up. For the beef cheeks class, please refer to time slot here which is above. The menu that u see in the Onepa website is wrong and they cannot rectify it for some technical reason. For the coffee pork ribs class, the time slot is for 1030am-1pm as per Onepa website.